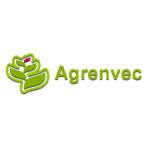 Agrenvec is a European biotech specialized in plant production of mammalian recombinant proteins and antibodies for the R&D market. Agrenvec is focused on development, manufacture and marketing, of products and services for the R&D and Industrial markets. Our Company owns a patented technology platform allowing us a high-throughput production of fully active recombinant proteins with complex 3D structure. Our proteins are 100% animal free and minimum purity of 97%. This technology is based on the use of vectors derived from plant viruses. Our production system, compared to transgenic plants, is more efficient and flexible, faster and cheaper. Its scaling up is easier and linear; we obtain from milligrams to kilograms of the protein of interest. Agrenvec has developed unique purification protocols that combined with our technology platform enable us to produce recombinant proteins very competitively. We have accumulated a deep know-how in industrial production of recombinant proteins and antibodies. After several years of experience we control the whole value chain, from the bench to the final product, thanks to our highly qualified team. Agrenvec is client-focused, so we adapt to our customer needs in all our projects. Some of our projects have been co-founded by the Spanish Ministry of Science, and other public organizations, such as Innovation Department of Madrid Regional Government, CDTI, ENISA, Genoma España.